The mass shooting/murder today (12/14/2012) of dozens of kindergarten kids at a Connecticut Elementary School is just one of the many recent school shootings. This event should cause Americans to seriously think about allowing select, qualified school officials to have concealed handguns to protect kids before the police arrive. A few years ago, a friend of mine, Peter Morrison, was a School Board member at Lumberton ISD in Lumberton, TX. Morrison took alot of heat from fellow school board members when he suggested that select, qualified, school officials should be allowed to have a concealed handgun at the school. Lumberton is not a big town and there is not a police officer at every school. If something were to happen, the kids would be completely vulnerable and unprotected. Having a qualified school official with a concealed weapon at each campus would allow the school kids to be protected faster before the police arrive. 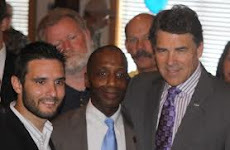 Back a few years ago, Governor Rick Perry supported this idea for schools in Texas. David Bellow, Lumberton resident, said that he was taken Aback by the apparent surprise at the school board meeting about Morrison's proposal. "In light of the Virginia Tech massacre and dozens of other school shootings, I believe that allowing certain approved and trained school administrators (or) teachers to carry a concealed weapon will make the schools safer," he said. "It is scary to think about a concealed gun around our kids, but it is even scarier to think about the alternative where someone starts shooting students and no one can do anything about it." My thoughts on this matter have not changed, and now, I believe that more people would even agree with me due to so many recent massacres at schools. Think about it, would anyone get upset if a police officer was at the school with his gun? No. Then why would someone be upset about a qualified school official having a gun at school? Oh, well he is not a trained police officer they might say. What they do not understand is logic. A police officer is just a person too. If you can train a police officer to have a gun then why could you not be able to train a school official to have a gun? Not all police officers are experienced. When a police officer starts out he is typically young and just out of police academy when they give him a gun. Nothing against the young police officer, but I would actually feel more comfortable with a 50 year old experienced, trained school principal with a gun than a young, inexperienced police officer. So really, if everyone is ok with a police officer having a gun at school to protect kids, then why do we not allow select, qualified, trained school officials to have a concealed gun on campus to protect kids in cities where there are not enough police officers to be at every school? At least 26 are dead in a shooting at Connecticut elementary school today. At least 18 of the dead are children. Massacres typically happen at places where NO GUNS ARE ALLOWED so people are helpless to defend themselves or stop the shooter. at Virginia Tech, college students just had to hide behind desks hoping the shooter cannot see them. You can't stop a shooter with a desk, but you can stop a shooter with another gun. In this school shooting at an Elementary School in Connecticut, these kids were slaughtered and none of the school staff could help because no one had a weapon to take out the shooter. Gun control does not work. Gun restrictions only prevent good citizens from having a gun to protect themselves. Bad guys and criminals will still get guns regardless of gun restrictions. Then when a bad guy gets a gun and wants to kill people, the shooter typically goes to a place where no guns are allowed so that he can shoot dozens of people knowing that no one can stop him from shooting because no one else has a gun.